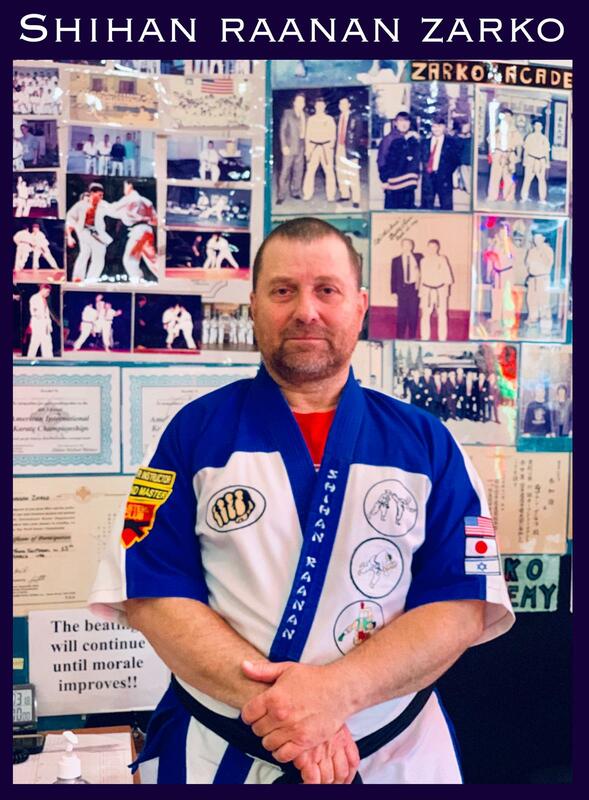 Shihan Raanan Zarko was born and raised in Israel, where he was introduced to the world of martial arts by developing physical and mental strength. Shihan Raanan was involved in sports from a very early age, starting with tennis at age three and soccer at age five. His first introduction to the world of hand-to-hand combat came from his father, Nisim Zarko, who was Israel's first Navy Seal in 1948. Learning those Navy Seal techniques at an early age, intrigued young Raanan to go further into the world of martial arts when he reached his teens. Shihan Raanan's older brother, Sensei Aviv, has preceded Shihan Raanan in the martial art world - practicing Kyokushin-Kaikan Karate - the strongest full-contact karate in the world, which was invented by Master Sosai Masutatsu Oyama. Years later Shihan Raanan himself traveled to Japan and not only met but trained with Master Sosai Msutatsu Oyama during the late 80's and early 90's. Upon turning eighteen, Shihan Raanan, entered the IDF(Israel Defense Forces). During the next four years, Shihan Raanan's knowledge in hand-to-hand combat and military weapons was not theoretically learned by him but put to the test during his two of the four years served in the war ridden country of Lebanon. It was in the military that Shihan Raanan was introduced to one of the strongest styles of martial arts in the world, Krav Maga. At the end of his service as an Officer, he started his long and hard road into the complete life of a true martial artist by traveling around the world to learn different styles with the greatest teachers. In studying with those great Masters, Shihan Raanan learned the true meaning of the martial arts. Though Shihan Raanan started teaching in 1989, he has never stopped learning and refining his martial arts skills. Honing his skills for many years, Shihan Raanan fought in hundreds of different competitions and bouts around the world. Shihan Raanan's knowledge in the martial arts did not just come from his teachers but also his students. It was learning to be respectful of others, humble before other and undying thirst for knowledge and experience in the martial arts that led Shihan Raanan to open his first martial arts academy - Zarko Academy. For nearly three decades, Shihan Raanan has shared his vast knowledge and personal experiences in mixed martial arts. 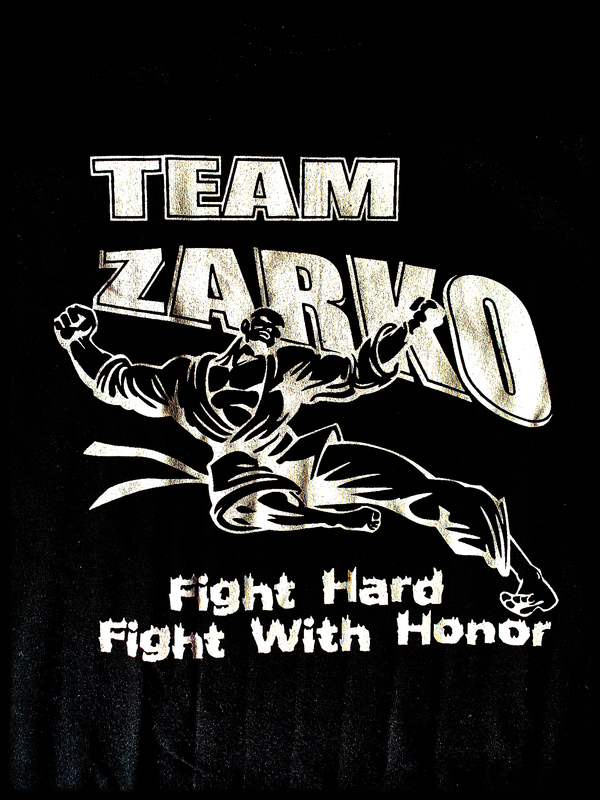 Any student who enters Zarko Academy is welcomed with open arms and given the opportunity to obtain the best teaching - mentally, physically and spiritually. They will be exposed to a most unique way of training in the martial arts world.